Opened for business in Dallas, TX with the mission of providing total customer satisfaction. Our philosophy is simple: Offer a wide selection of leading products at competitive prices and provide high quality customer service via phone or email 7 days a week. 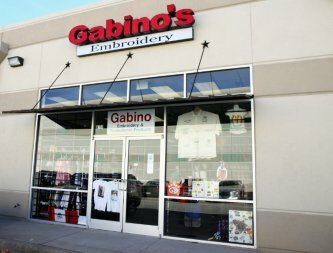 Our customers place orders with confidence, knowing they will be completed on time and accurately according to the high standards Gabino Advertising has quickly become known for. In addition to attentive support, Gabino Advertising provides fast, custom quotes on the products you're most interested in. A key way we provide top-notch service is via our LOGO emPowered platform. Simply tell us which products you want quoted and we'll deliver a customized sales presentation - in 24 hours or less - complete with photos, descriptions and pricing designed to fit your budget.